Intriguity participated in E-mela orgainised by E-Tailing India in December 2015 at NSE complex, Goregoan. The show was a huge success with more than 500 visitors. Intriguity displayed e-commerce photography solutions from Orbitvu – Poland for 2D, 3D and 360 degree product presentations. 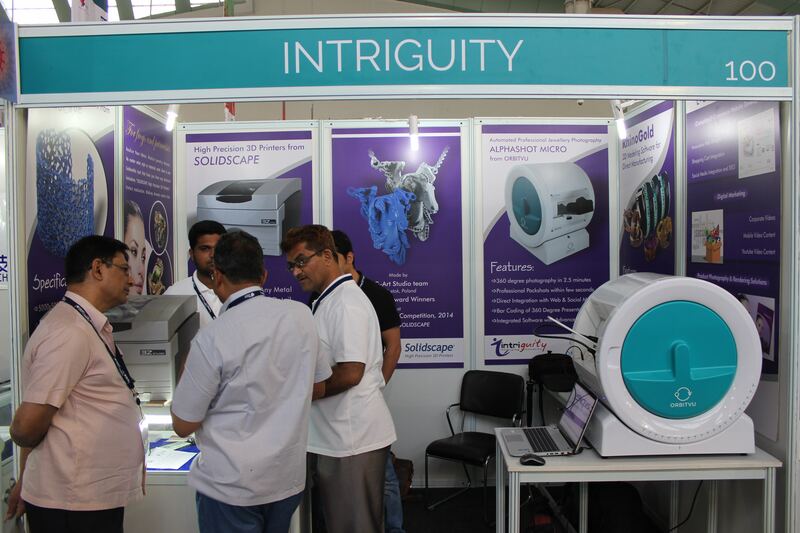 Intriguity participated in the 1st Jewellery Machinery Show in Jaipur organized by India Infomedia in June 2015. This show was organised at Jaipur Exhibition & Convention Center at Sitapura, Jaipur. Intriguity exhibited Solidscape 3D Printers, Alphashot Micro from Orbitvu-Poland, Agatronic G Casting Machine from Argenta Poland and RhinoGold Software from TDM Solutions, Spain. The exhibition saw some decent footfalls and a reasonable traction for Intriguity in its jewellery business. 2) Alphashot Micro from Orbitvu, Poland. This year, we witnessed a lot of wholesalers wanting to get into jewelry manufacturing and a lot of retailers wanting to get into e-tailing. “This trend will only continue to grow” says Mr Vikrant Rawa, CEO of Intriguity. “We feel that the demand of custom jewellery will shift the focus of the wholesaler and retailer to manufacturing and the boom in Indian E-commerce will lead to increasing number of retailers wanting to sell their products online. Hence our focus would be in two areas moving forward – Direct Manufacturing and Global Sales. This year, the show was also attended by Mr Pankaj Goaswami, Sales Manager from Solidscape Inc, USA.